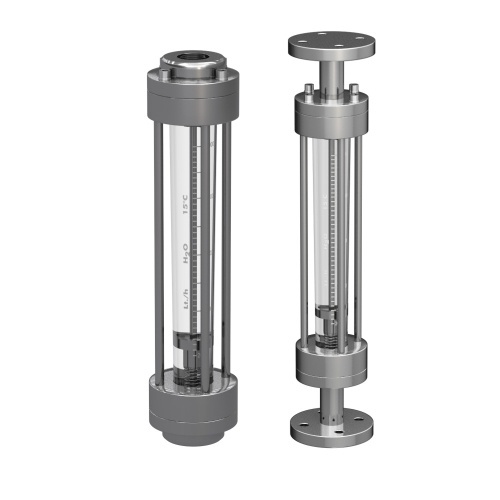 Flow meters BC/K for middle and large flow rates. The “BC” series flowmeters are the flow rate measuring devices, suitable for the medium flow rates of liquid and liquid gases. 160 °C The connection can be either flanged or threaded. Other characteristics: simple installation, easy maintenance. On requests, the flowmeter can be supplied with the indicator of the min./max. flow rate. polycarbonate: 120 °C, polysulphone: 160 °C.